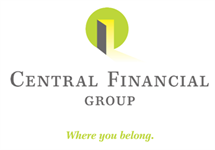 Genie has more than 25 years of experience in the life insurance industry and joined Central Financial Group in 2006. Genie leads the Life Department for Central Financial Group and Clarity Financial Planning, where she is a Sales Support Consultant, responsible for all aspects of life insurance support for our representatives. She has a strong background in life and annuity administration and holds her life and annuity license. Genie also processes all of the licensing and contracting for the firm. West Des Moines is home where she resides with her 2 dogs, Star & Lincoln. In her spare time, she enjoys traveling, shopping and spending time with family and friends.